The GeForce 8800 is officially announced and, for once, the video card will be immediately available . Obviously, this card is a must and appears to be a reference in terms of performance, functionality and rendering quality as well. Performances are impressive and the architecture sophisticated, but this is not the point. For that, I recommend the excellent review of Hardware.fr . As for us, we're going to discuss what is most interesting for the developer, which are the new functionalities in the OpenGL programming framework. This card is the first one that supports Direct3D 10, but all new possibilities it brings are also available with OpenGL through proprietary extensions and on Windows XP as well. : This article has been written at the end of November 2006.
: See the following article: NVIDIA GeForce 8800 GTX & 8800 GTS. 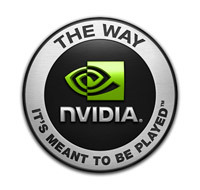 You can also see: NVIDIA G80: Architecture and GPU Analysis. 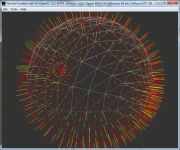 : NVIDIA, OpenGL Extension Specification	2006.